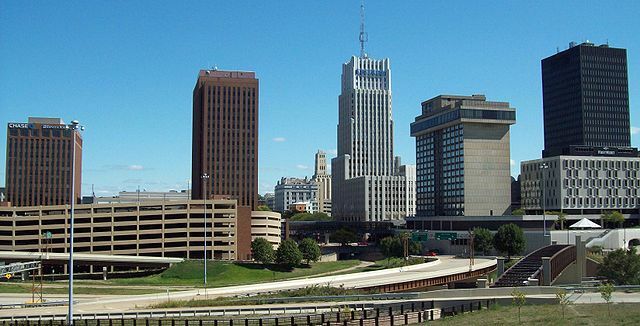 The city of Akron is known to be the fifth largest in Ohio. As of 2017, Akron OH has a population of 197,846. There are so many reasons to live in or visit Akron. You’ll enjoy the city’s many cultural attractions, great cuisine, people’s efforts in helping the environment, and the best commercial roofing Akron services. It’s no secret that the weather is a big factor that determines the health of a roof. The city of Akron receives warm summers and freezing, windy, winters. But it’s not just the weather; many other things cause your roof to deteriorate. For example, foot traffic, maintenance, and the quality of materials that were installed. Metal roofing systems, no matter how tough they are, need to be serviced at some point. Don’t immediately replace your metal roof – consider our restoration for metal roofing systems. Our restoration service resolves leaks and improves energy-efficiency. Got an EPDM or modified bitumen roof? We can also restore these types of roofing systems. *For our roof restorations, we use Conklin’s Energy Star labeled acrylic elastomeric coatings. Conklin white coatings shield your roof against the elements. These coatings are flexible. This means that they’re capable of withstanding building movements and changing temperatures. Don’t miss our commercial roofing Akron solution for low slope roofs. If you have an asphalt roll roof, EPDM, or modified bitumen system, our Conklin roof coating options add useful years to your roofing life. J&M Roofing uses Flexion™. This product is Conklin Roofing’s single-ply membrane. Choose our single-ply membrane installation if you need a durable re-roofing application. And if you plan to sell your building in the future, a new and durable roof makes a huge selling point. If you’re thinking of restoring, repairing, or installing a new roof, hire J&M Roofing today. Again, we use only the best roof coatings and other products from Conklin. Our clients highly recommend us because of our professional work. Check our customer reviews. We ensure a safe, clean, and less disruptive installation process. J&M Roofing is a local company which means that we’re accessible and readily available to meet your needs. We guarantee our workmanship and materials. Ask us about our warranties. Reach J&M Roofing today for your commercial roofing Akron needs. We offer a free, no obligation estimate. Call us at 330-248-7051.